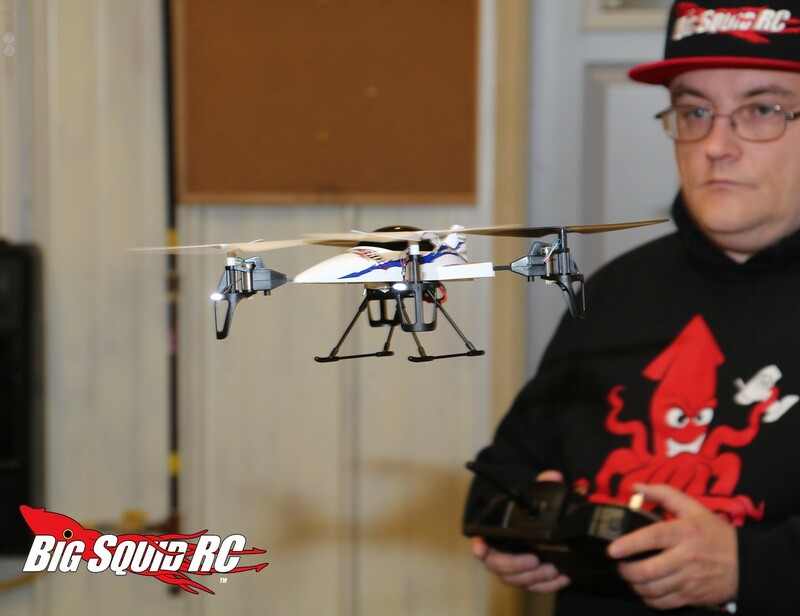 Quadcopter Shootout 2 – Flying Time « Big Squid RC – RC Car and Truck News, Reviews, Videos, and More! More time up in the air is more fun time, hence the reason we included a flying time category in our shootout. How did we determine flying time? We fully charged each of the quadcopters then flew them until they ran out of juice. The longer a quad stayed up in the air, the better its ranking. Of note, we measured flying time with all the quads empty, they were not packing any extra accessories like a camera. We had a very clear winning in the flying time category, the LaTrax Alias. The Alias had almost 2 full minutes more flying time than the second place Ares, and almost twice as much as the last place Align. If long flying times is what you are looking for, the Alias is the one you want. In third place was the Blade 180 which posted a respectable flying time of 8:32. Next up is Durability or head back to the beginning shootout page.